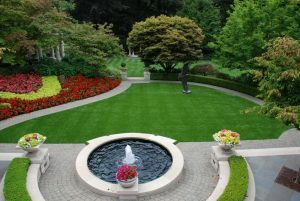 Artificial Grass, Precision Greens, Curb Appeal & Large Fountain - Curb Design Inc.
Beautiful custom landscape with flowers and artificial grass or fake grass. Also, curb appeal and custom concrete curbing. Water fountain as the center piece and colorful flowers. 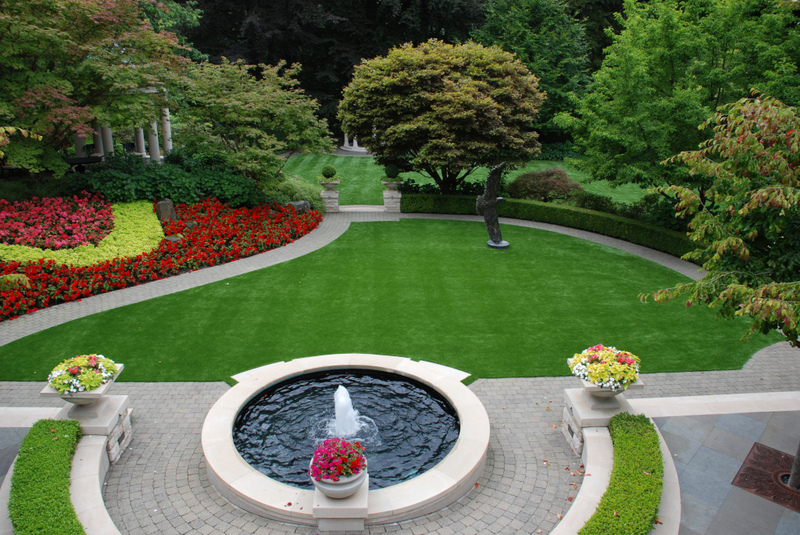 Stunning walkway and retaining walls within the landscape and surrounding the landscape.